I'll have screenshots up tonight. So after playing for a bit last night, it doesn't seem I have any performance issue anymore (60-200 FPS outside and 60-80 FPS in Balmora). Dunno, I'll take screenshots if it comes back. So I left the building and came back -- and it's fine. Weird. Looks like you have many mods installed. I guess some mods add "sitting" NPCs, colliding with the furniture. 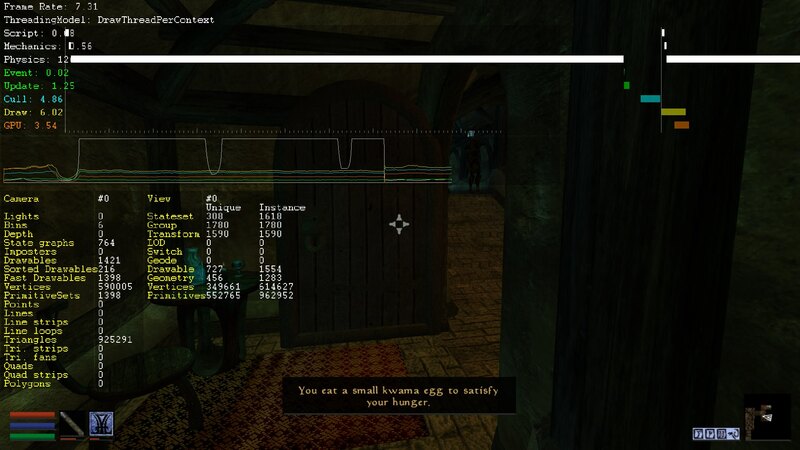 These collisions may cause FPS drop: https://bugs.openmw.org/issues/4098. Also you can search for furniture with too detailed collision boxes via "tcb" command.